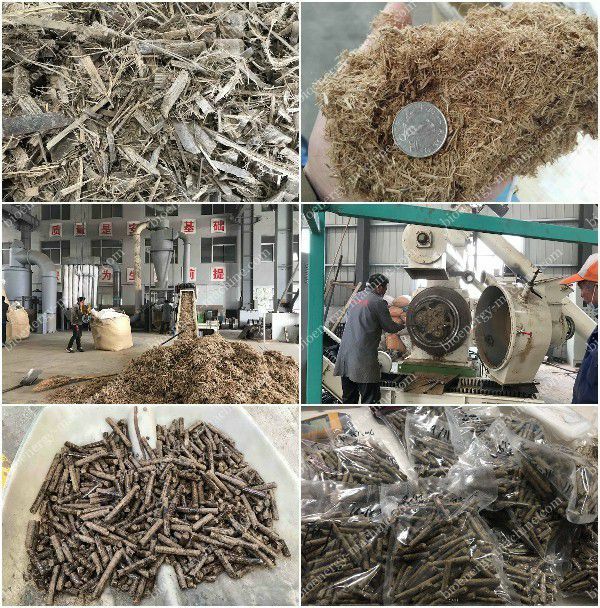 On November 6th, our engineers made the pellet production test for a Malaysian client. Atfer crushing, drying, pelletizing and cooling, we got around 2tons of bamboo pellets. the client later on would send these bamboo pellets back to his home country Malaysia. Bamboo pellets are usually made of bamboo leaves, stalks and recycling of bamboo powders after the production of other bamboo products. This is done by crushing bamboo into powder and then pressing it together into small pellets with 6 -12 mm. 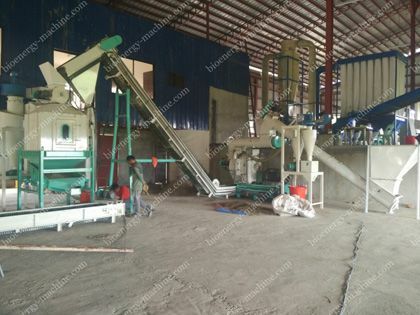 The whole process of making bamboo pellets is similar to other biomass pellets production such as sawdust pellets, wood pellets, rice husk pellets and others. The pellets can be made for small scale household use and large scale commercial use. The pellet production process usually includes crushing, drying, pelletizing, cooling and storage. Crushing: crushing is used to break the thick and long bamboo stalks into small pieces by use of a Chipper and into powder by use of a Hammer Mill. But before the beginning of the crushing process, one needs to separate the bamboo materials from dust and debris. Thereafter, the stalks and leaves can be crushed into powder. 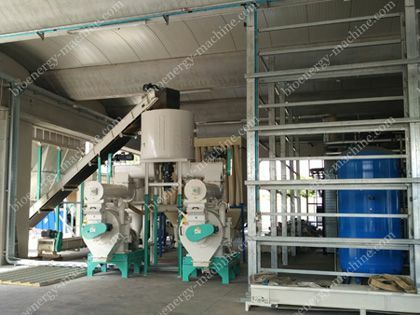 Drying: After the crushing process, a Rotary Dryer is required for the drying process in order to ensure that the dried powder has a moisture content of less the 10 percent. Pelletizing: The pelletizing process will see the compression of the dried powder into pellets at high speeds and high pressure. 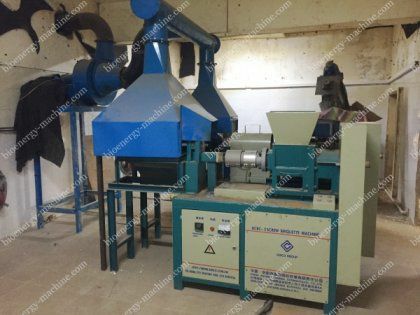 A pellet presser or pellet making machine is required for this process. You can use a household bamboo pellet mill for domestic purposes or an industrial bamboo pellet mill for large scale commercial production. Cooling: Note that palletization usually leaves the pellets with high temperatures hence there is need to cool them down in order to maintain their quality and durability. A Bamboo Pellet Cooler is used to cool down the pellets’ temperatures. After all the processes above, the pellets can now be packaged and stored for use. Bamboo pellets can be used as a source of a renewable energy source .There is an increasing shortage of traditional energy sources such as gas and coal and bamboo pellets can be used to produce biomass fuel. Compared to gas, oil and electric heating, these pellets can save up to 50 percent of your energy costs. Low emission. Bamboo pellets are environmentally friendly and after being processed, they contain less than one percent of ash. Ash plus the little Sulfur content produce very little burning emission hence reducing the greenhouse effect and acid rain. They have a high heat value. The pellets have a fuel value of around 4800 kcal which is equal to the heat value of coal, but with much less space occupation. The pellets have a wide range of uses. They can be used in cooking, heating, industrial steam furnace among others. They are safe and convenient for transport and storage. The pellets are light in weight and they can be stored for a very long time. 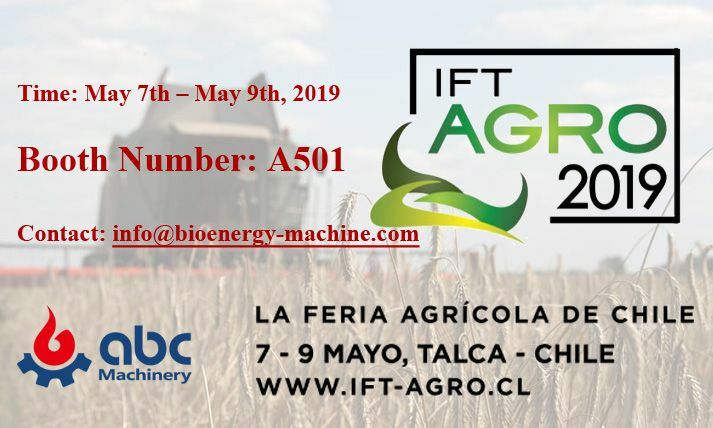 As a source of biomass energy production. They can be used in industrial steam furnace, heating and cooking. They can be used for Medicinal extracts. As animal feed. They have a crisp nature, light sweet flavor as well as exceptional nutritional value.